Designing a great user experience isn’t magic and it doesn’t happen overnight—a lot of things need to fall into place, not the least of which is hiring the right team. But it can get a little confusing when when it comes to hiring a UX designer. Do you need someone with a specific degree? Is direct UX experience a must? Do they need a portfolio? Should they be able to code? Sure, finding someone with all those skills would be awesome, but let’s face it. That’s probably not going to happen. To be great at UX, no matter what your specific function, you need to be empathetic. Look for candidates that have the ability to step outside themselves to understand the experience of someone else. Have candidates walk you through their rationale behind the design of a specific product. If they can pinpoint areas where the design is effective (or not) and why that’s beneficial for the user, they’re using their empathy as a foundation for their design process and understanding. A candidate should also be able to explain how or why they love or loathe certain user and customer experiences. They should be passionate about fixing poor experiences, and obsessed with understanding what makes a great one so meaningful—and how keep improving upon it. Additionally, if a candidate doesn’t understand your organization’s mission or products, that’s a red flag. While they won’t know everything about you, they should be insatiably curious about what makes your company and products tick, and have ideas on improving those experiences. That’s what they’re there for, after all. Knowing what a great experience is and having the ability to design it is only part of the job description. UX involves many different teams and disciplines, which means your UX team will constantly be collaborating and communicating with a wide range of individuals. Some of them may not know a thing about UX, and others might not be as committed to it as your UX designers are. Regardless, they’ll need to be able to translate the importance of your team’s UX mission in a way that resonates with everyone, while still staying open to feedback. 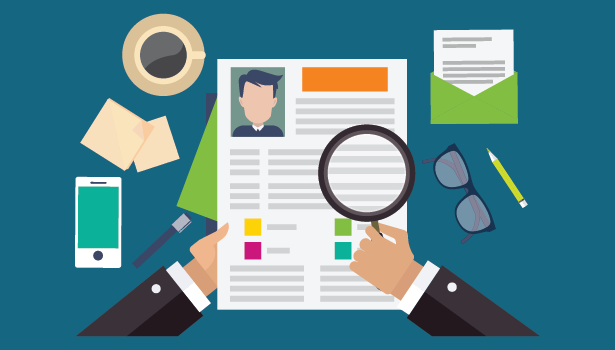 So how do you actually figure all this out when interviewing a candidate? I asked our own head of product and engineering, Mark Towfiq, what he looks for when interviewing candidates for his team, and he had an interesting test to find great candidates. He presents them with a sketch of several different designs of refrigerators we’ve seen used over time. He then asks candidates to explain the differences in design for each. This turns out to be a great way to establish whether or not a candidate possesses the three traits I’ve outlined above. How the candidate describes the process of changing the design will tell you a lot about them. Their understanding of societal, technological, and personal standards over time, and how each influenced the design will show you not only their understanding of basic design principals, but also will uncover their ability to empathize with users. This exercise will also highlight a candidate’s ability to communicate and collaborate. Expressing the design process isn’t always easy, so having a candidate walk you through that process will show their ability to translate an idea into a clear, understandable format for various audiences. Finding a great UX designer will take some time. It’s a popular field, and there are a lot of candidates to choose from. But keep these three traits in mind as you’re reviewing resumes and portfolios, and you’re bound to find a great addition to your team.